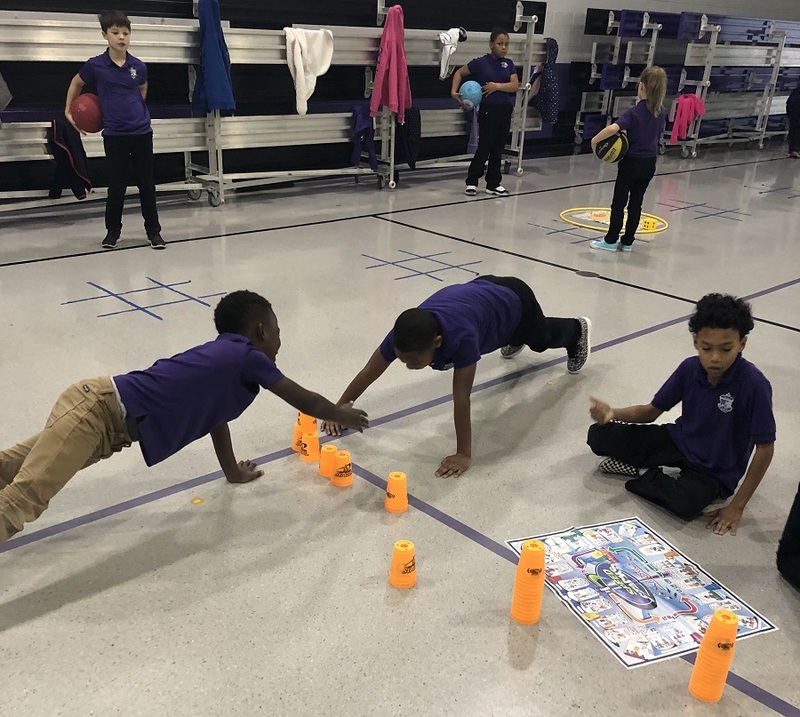 Sport stacking has always been one of favorite units to teach in physical education. 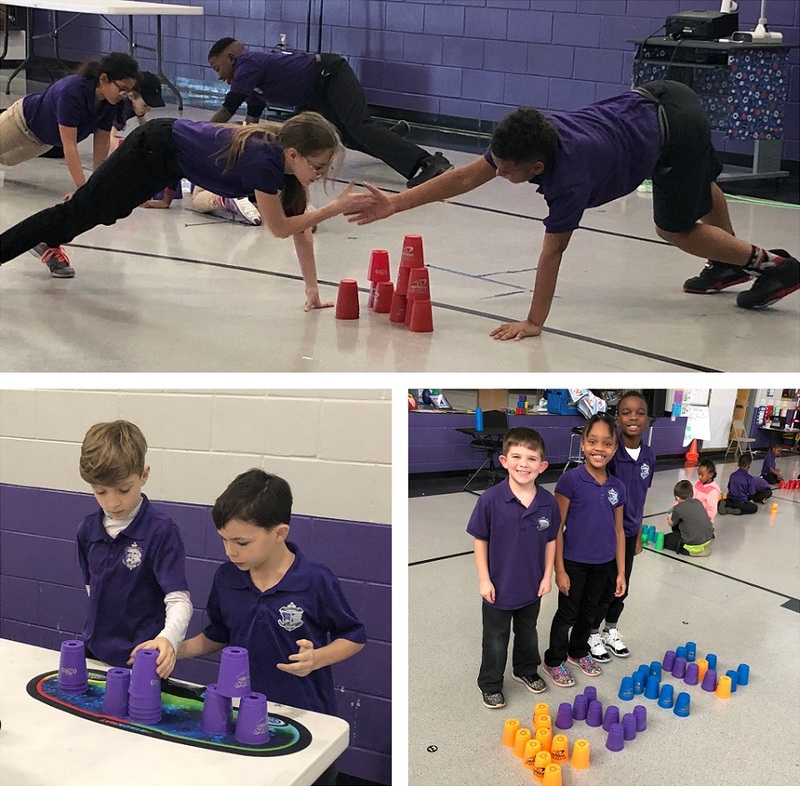 Sport stacking is an excellent activity for all ages because it encompasses concentration, agility, hand-eye coordination, fitness and can be individual or team sport. 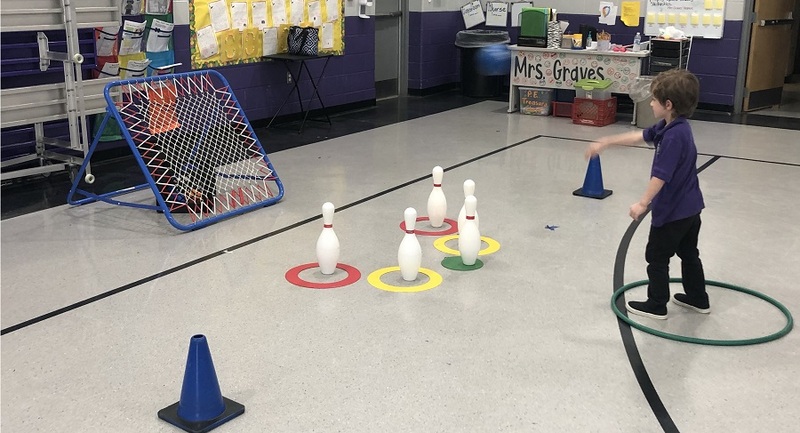 I am always looking for new activities to incorporate into my sport stacking unit. Speed Stacks and Skillastics have joined forces and created an AWESOME activity called Speed Stacks® Skillastics®. 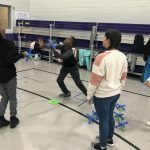 The kit includes 26 activities that enhances moderate to vigorous physical activity while simultaneously increasing sport stacking agility and skills. 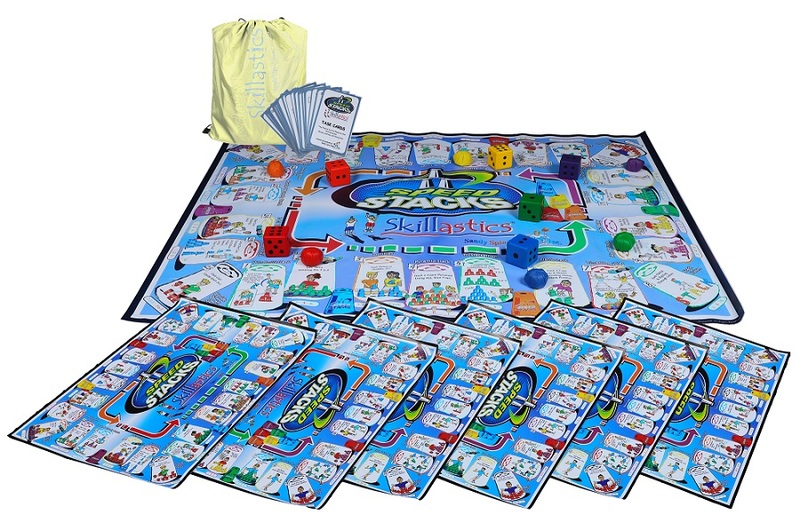 The set comes with a full-sized mat, 6 miniature mats, 6 multi-colored beanbag markers, 6 multi-colored die, 26 laminated task cards, an instructional DVD, an instruction manual, and a backpack carrying case. I would recommend that you take one class period to review all the task cards in this set. 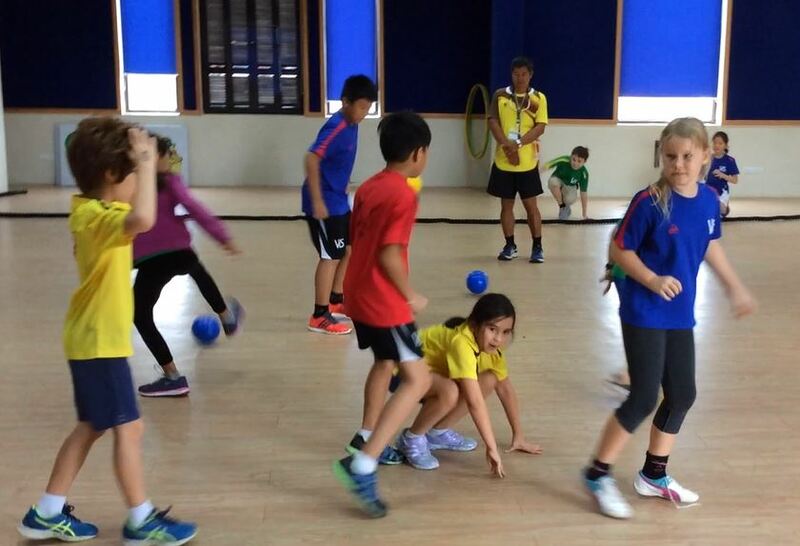 This helped to ensure the students could complete each task when playing the activity. There are 26 task on the Speed Stacks Skillastic board, with 3 different levels for each task. There is a very detailed instructional manual with awesome diagrams included with each set. An instructional DVD also comes with each activity set. After I watched the DVD, all the questions and concerns I had about the activity were answered. The two tasks the students loved the most was the Pyramid Stack and the Timed Doubles. 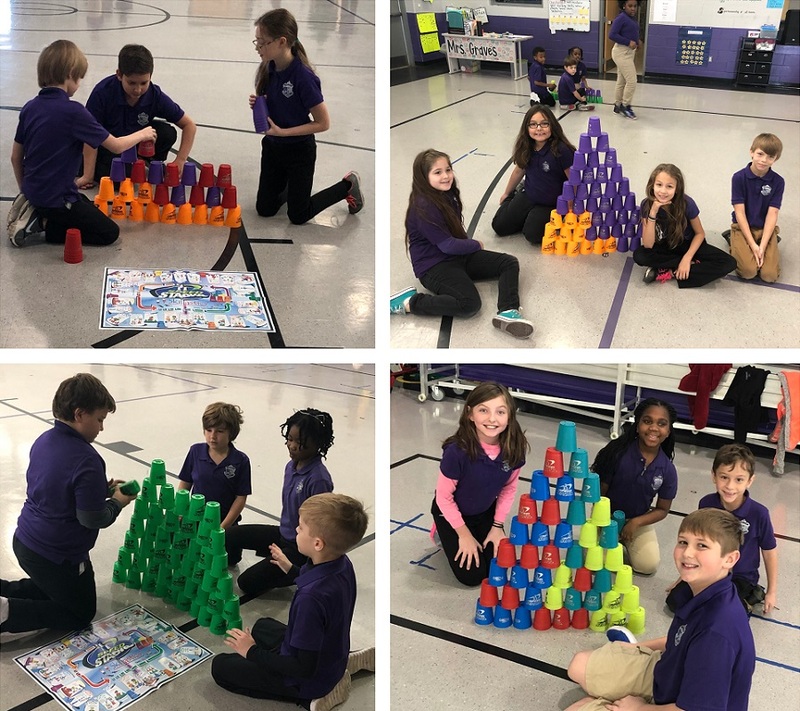 As long as I have been teaching sport stacking, one of the first things my students have always wanted to do was build as “castle” as high as they could. The Pyramid Stack with all the group members cups does just this! The other activity the students really liked was Timed Doubles. I must admit this surprised me quite a bit. 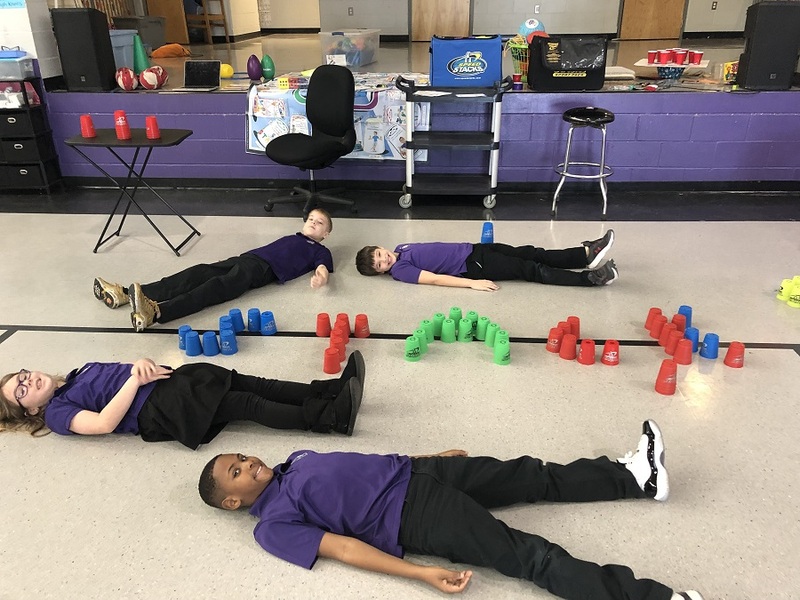 I loved this activity because of the cooperation it entails; however, the students loved it because it was such a challenge and they wanted to keeping trying to “beat” their record. As for as my favorite activities from Speed Stack Skillastics, it is very hard to choose. I really enjoyed High Five Stack because of the incorporation of fitness. In addition, I liked the Upside Down Stack because it was something new and different I had never tried before with my students. 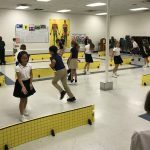 The experience, excitement, fun and movement of these activities offer every student a chance to succeed regardless of his or her ability level. My favorite aspect of the Speed Stack Skillastics is the social interaction within as well as among the groups. My partner I also love how the activity holds students and groups accountable. Furthermore, this activity has such a high energy level that there is really no time for off-task behavior. 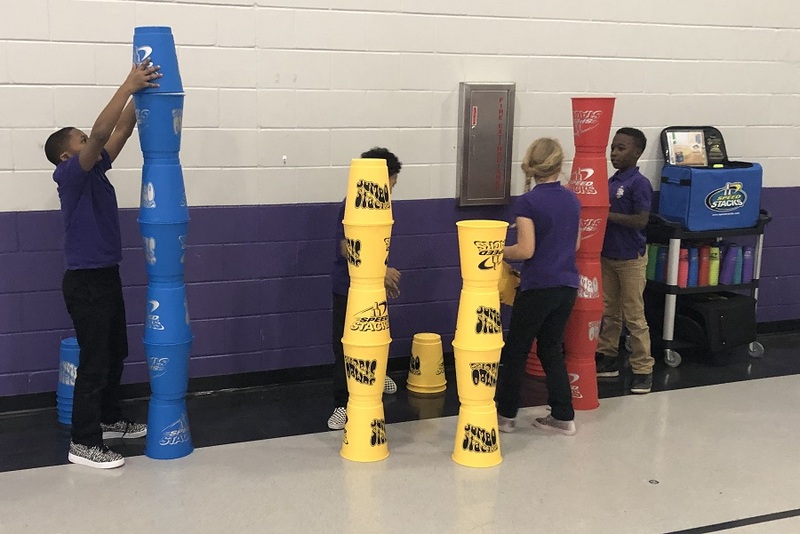 Speed Stack Skillastics is a must have for all physical education classes. This resource is well worth the investment. 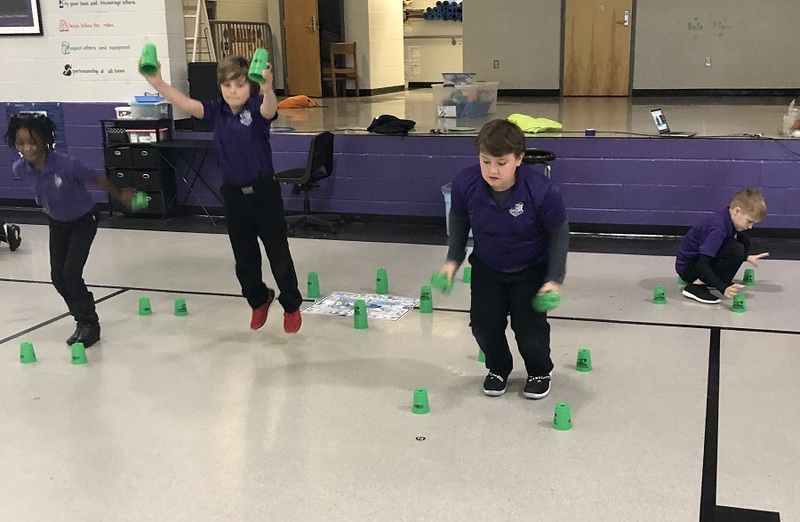 I believe any Skillastics activity would be a great addition to any physical education program. 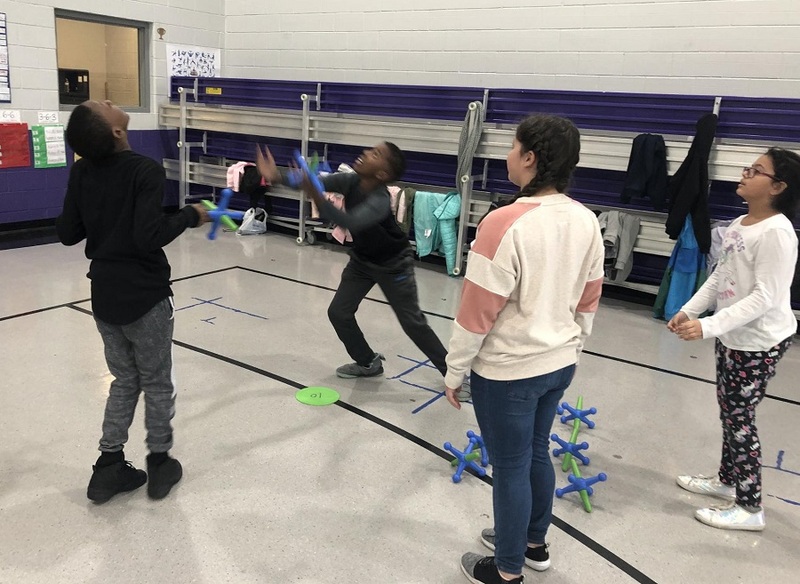 I took so many great pictures of my students practicing the task cards as well as actually performing the activities so other teachers can see how the this could align with their PE lesson plan or unit. 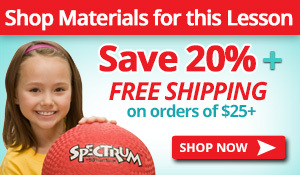 If you are interested in adding Speed Stacks® Skillastics® to your program, use the coupon below! I am a Physical Education teacher in Plaquemine, Louisiana who loves crafting, my students, my family, and riding on the back of my husband’s Harley Davidson. I currently live in Addis, Louisiana with my husband Chris and our three kids: Abby, Wyatt and Kameron. This is my 15th year as an Elementary P.E. teacher. I got my Master’s Degree in Kinesiology from LSU. Go Tigers! 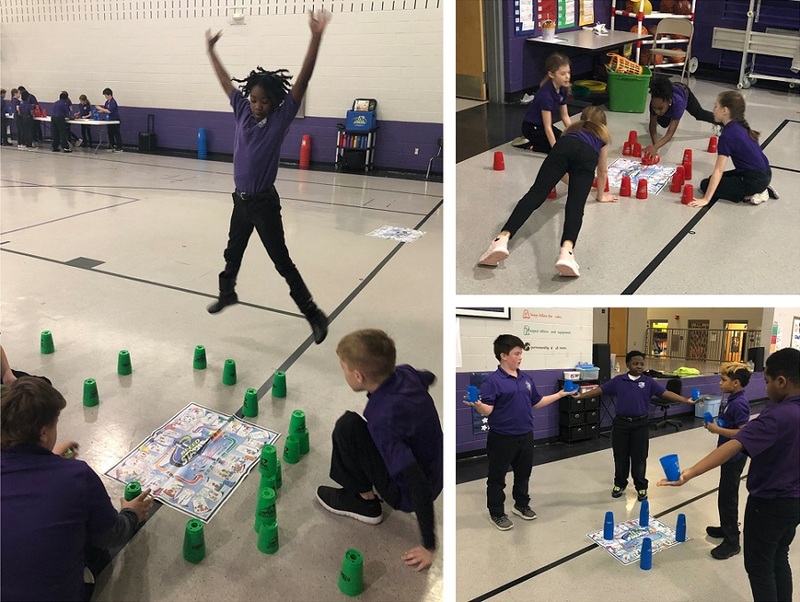 This entry was posted in PE Activities & Games, PE Central and tagged cup stacking, Jennie Graves, PE activities, PE Central, PE games, PE lesson plans, PE Teachers, physed, Physical Education, Skillastics, Speed Stack Skillastics, speed stacking, sport stacking by S&S Worldwide. Bookmark the permalink. Could you please share with me on whether or not this is Kindergarten appropriate. I teach Kindergarten P.E. and many of my students are pre and non-readers. 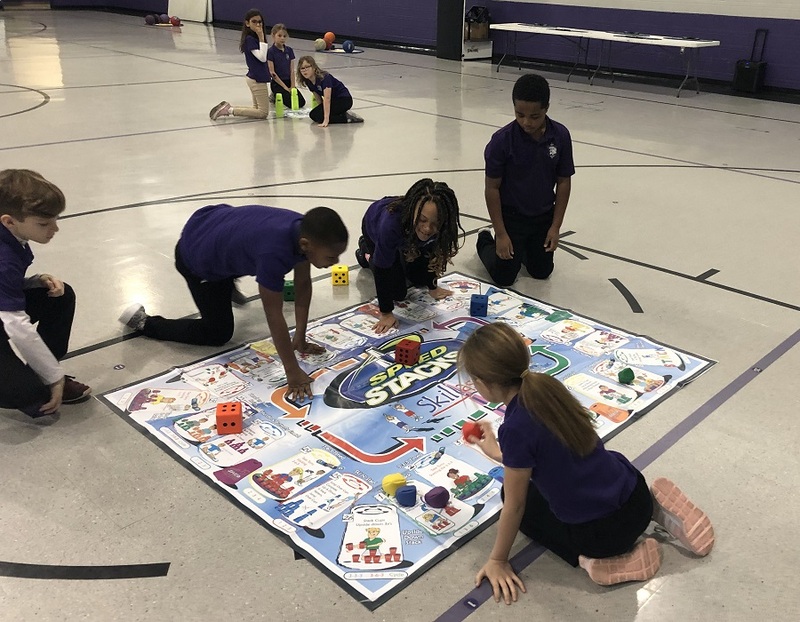 Hi Angela, I have reached out to our vendor for more information on the recommended age group for this activity – I believe it is for Elementary level but there may be suggestions on how to modify for Kindergarten. I will also reach out to the teacher who wrote the blog post. I’ll send you an email when I have more information. Thank you!